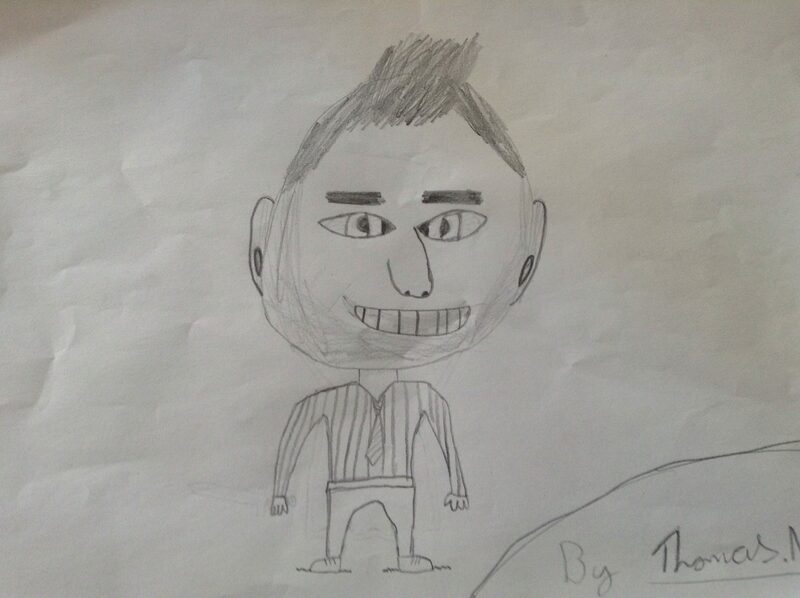 Thomas was inspired by the recent art work in class and went home and drew a caricature of me. I think it is amazing. People will be paying good money for your artwork in the future.